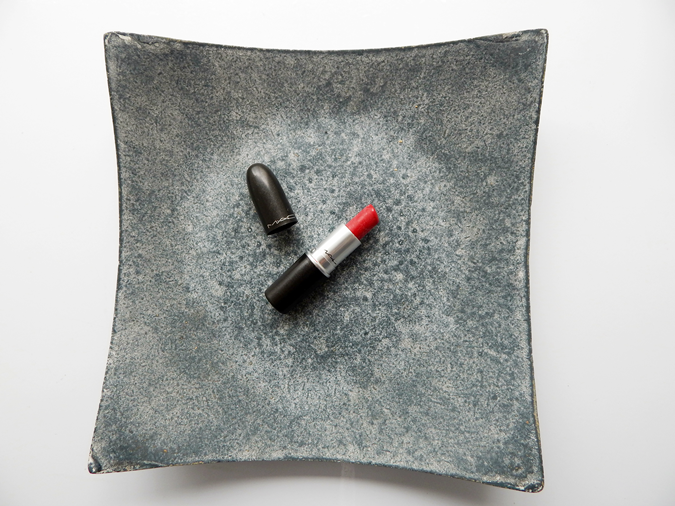 Who can resist a red lipstick? Not me, that's for sure. I actually didn't buy MAC Cockney though - it was more part of a swap that I did with my mum. Even though she likes the colour, she never really wears red, whereas I like to wear red lipsticks all year around. So when she asked if I wanted this gem for my makeup bag in exchange for other things I do not wear, I couldn't really say no, right? And while I was at it, I wanted to do a post about it too! Cockney is part of MAC's regular line of lipsticks and comes in a lustre finish. It's described as a sheer red with yellow undertones. 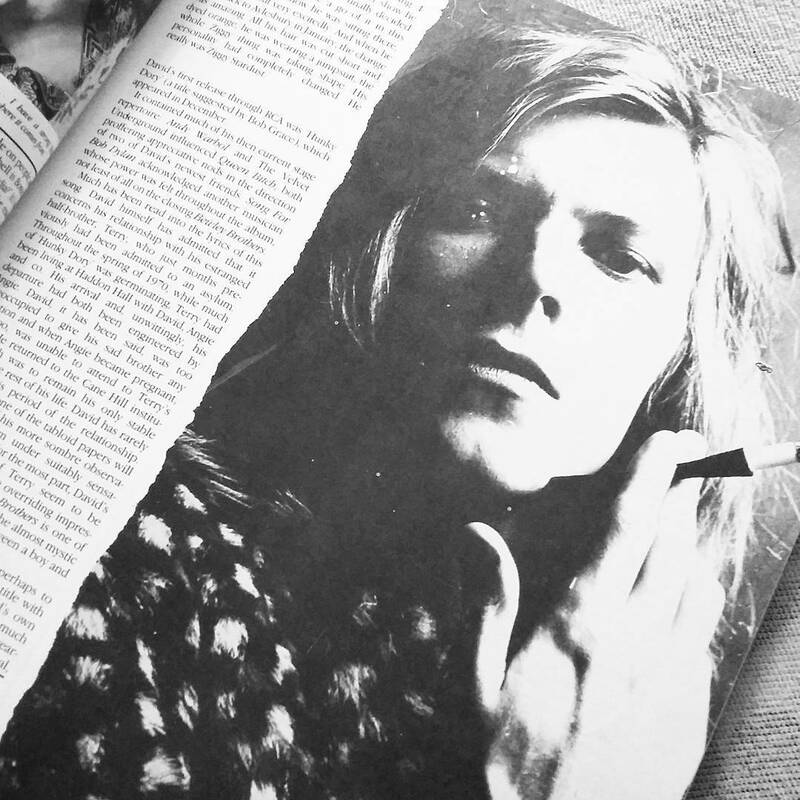 When looking at the colour in the bullet, it also appears to have tiny specks of shimmer in it, but I find that they don't show up on the lips once it's applied - which is good in my books. Due to it's lustre finish, I don't find it terribly longlasting, although the wear time is quite decent when it's paired with a red lipliner. Generally I would recommend pairing lipliner with this lipstick because I find that otherwise, it has a tendency to bleed out of the natural lipline. Other than that, I really like it because even though I have a lot of red lipsticks in my collection, I actually don't have a sheer red like Cockney. Unfortunately my lips are still quite sore so I can't provide lip swatches for this one - I hope this swatch comparison with Russian Red and Viva Glam Rihanna helps? 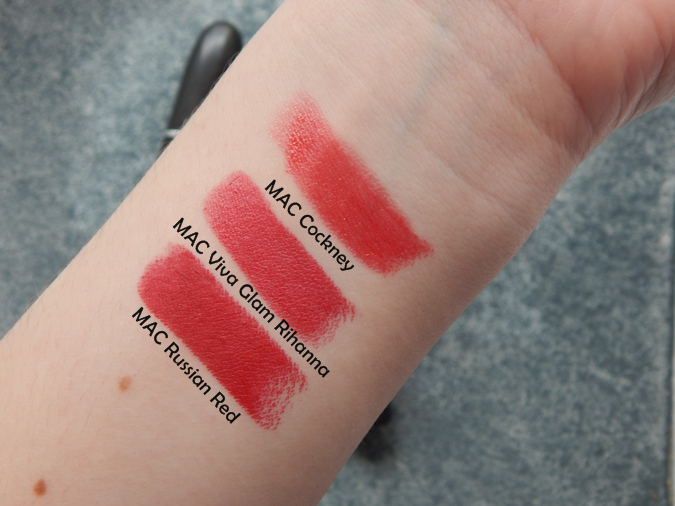 I think on the picture above, it's quite obvious that Cockney has a much warmer, yellowish undertone especially compared to Russian Red which is more cool-neutral toned; Viva Glam Rihanna sits somewhere in the middle I would say. Other than that I think it also really showcases the difference of finish of each lipstick: Cockney is a lustre lipstick and therefore more sheer, Viva Glam Rihanna is a frost and a bit more opaque and shimmery, and Russian Red is the matte red lipstick of course. 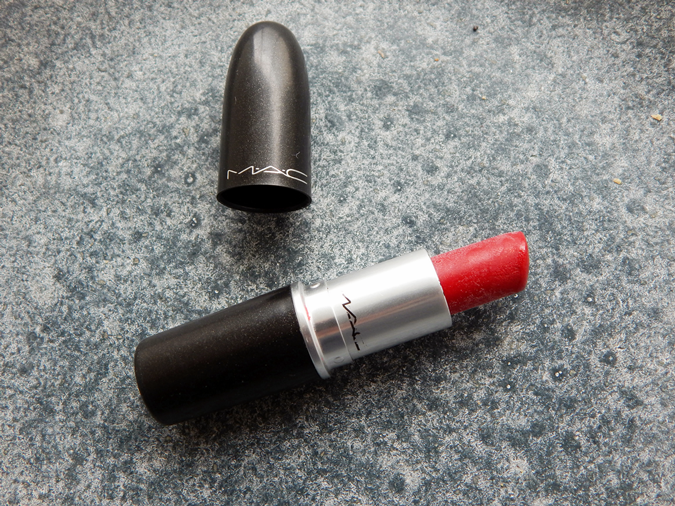 Generally I would say that MAC Cockney is a safe bet for everyone that likes the thought of red lips, but doesn't want to commit to a full-on matte shade such as Russian Red or even Ruby Woo. The lustre finish provides a sheerness that makes it more appropriate for an everyday situation without looking totally "in your face" as other shades might would. So if a red lipstick that's more on the sheerer, glossier side is what you are looking for, check out Cockney!